If you work in a quiet room, hearing the rattle and whirr of a hard drive (HDD) can quickly become an annoyance. As the inside of a PC case can act as an echo chamber, the smallest noise can be amplified exponentially until all you can hear is that mechanical noise as your computer reads and writes to your hard drive. A noisy hard drive isn’t necessarily a bad thing. Sure, if it grinds and sounds like a washer in a tin can that you might need my computer repair services. But other than that, any mechanical device with moving parts will make noise. Fortunately, there are a few ways to quiet that noise. 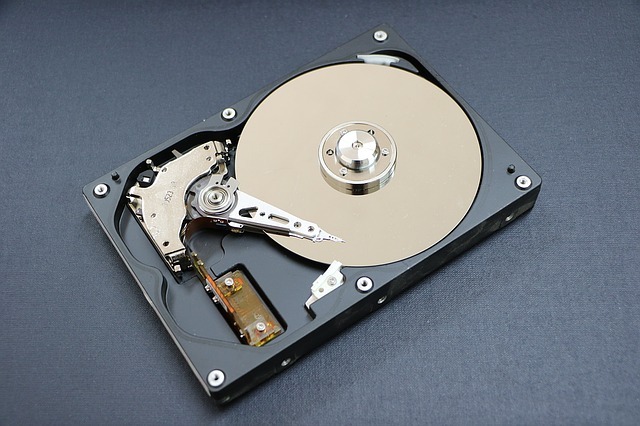 A hard drive is made up of several moving parts. They are comprised of round platters that spin. This is where the data is saved. A motor drives the platters and a reader needle reads and writes to the platter. Much like a needle interacts with the surface of a vinyl record, the reader needles can make tiny scratching sounds as it works. All this noise can combine to make a noisy hard drive. 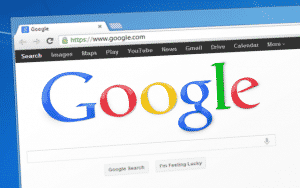 There are a couple of things you can do to silence your PC. One is to shift from hard drive to solid state. A solid state drive (SSD) has no moving parts and is made up of a circuit board with memory attached, much like RAM. It is silent in operation and makes no noise whatsoever. The downside is that it is a little more expensive than a traditional HDD. Plus, if your HDD is otherwise working fine, why replace it? The other way to quiet an HDD is to use a couple of tricks. I use both of these to quiet hard drives for Dave’s Computer Repair customers. The first is to stick the hard drive down. If you have a larger PC case with space on the floor of the case, this method works like a charm. You will need to buy a strip of Velcro from a dressmaker or hobby store to make it work which only costs a couple of dollars. Stick one side to the underneath of your HDD. Stick the other side to a flat section of your computer case. Stick the two together but be careful to engage the Velcro without pressing down too hard. The Velcro acts as vibration canceling and absorbs the noise. It also keeps the hard drive in place if you need to move your computer. The second method is to use elastic bands or dressmaker’s elastic strips. Again, this works best if you have space in your computer case. Using the elastic bands or strips, fashion a sling for the hard drive. Fix each end to either side of the hard drive cradle in your case with enough slack to hold the drive without it touching the base. Place the drive inside, connect it up and away you go. The downside to this sling method is you have to secure the drive before moving it. 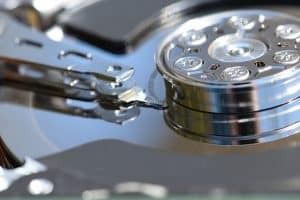 Do you have any tricks to quieten a noisy hard drive? Tell us in the comments section if you do.